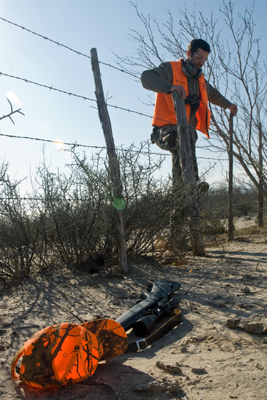 While hunting, it is common to encounter obstacles such as fences or rough terrain. The first thing to do is always completely unload your firearm. If you are crossing a fence alone, place your cap on the other side of the fence, then place the muzzle on the cap and point away from where you will cross. Then cross the fence. 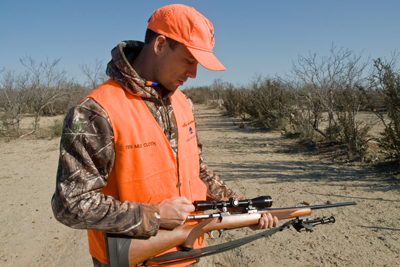 If two people are crossing a fence, first both hunters should completely unload their firearms. 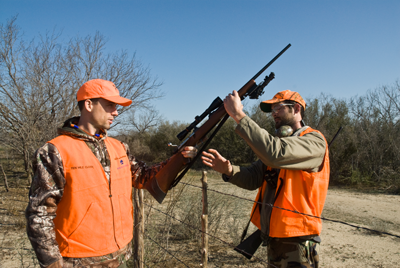 One hunter holds both firearms while the other hunter crosses the fence first. Once the first hunter is safely across the fence, the firearms can be passed over. Then the other hunter crosses the fence. 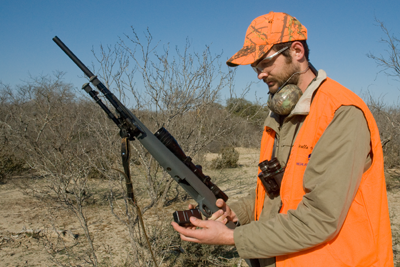 If assistance is needed to cross the fence, the unloaded firearms can be placed on the ground with caps guarding the muzzle from obstructions. One hunter assists the other crossing by holding apart strands of wire or providing support. The firearms are passed, placed on the ground again and the hunter who has crossed then assists the other to cross.